The February 25 issue of Current Science (Vol 108, No. 4.) contains a special section on Low Energy Nuclear Reactions (LENR), which is, to say the least, remarkable. The preface terms the putting together of so many papers by scientists involved in the field as constituting a “major review”. 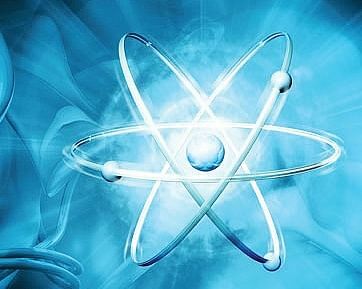 It is remarkable as LENR is, as the preface to the special section terms it, “a silent revolution in nuclear science”. This column dealt with this phenomenon some two years ago. But on the 26th anniversary of the discovery of what was called “Cold Fusion”, it is worth dwelling on this development, especially since there is more recognition of it now. After Martin Fleischmann and Stanley Pons, two chemical scientists, told the world on March 23, 1989, that they had succeeded in producing a great amount of heat by passing electricity through palladium inserted in heavy water, at room temperature, without radioactive emission, two things happened. On one hand, the big guns, who were invested heavily on ‘hot’ nuclear fusion and fission, came down heavily on this so-called experiment. They began to call it “junk science”. Since efforts at replicating the Fleischmann-Pons experiment ended with unpredictable results, it was easy to rubbish “cold fusion”. The two scientists themselves were not able to provide a convincing explanation to their experiment. Fleischmann and Pons became a flash in the scientific pan but their experiment captured the imagination of other scientists. Bhabha Atomic Research Centre (BARC) put together groups of scientists, at one time as many as 12 groups, numbering almost 50, to see for themselves if the phenomenon was real. The man who gave the go ahead was P K Iyengar. The initial observations were encouraging. But after the US Department of Atomic Energy weighed in with a negative report, the then ayatollah of BARC who succeeded Iyengar, declared that he thought cold fusion to be nonsense, and declined to give institutional backing into its research. Yet, cold fusion enthusiasts have grown in number worldwide. This is based on the realisation that the incipient criticisms were misplaced, even wrong. As one scientist (Michael McCubre) points out elegantly: “Absence of evidence is not evidence of absence.” There have been as many as 18 international conferences devoted to this subject. In January 2011, Italian Andrea Rossi announced he had developed a working reactor (e-cat), where he had heated a minute amount of hydrogen in a lead chamber containing nickel powder. I’m told hydrogen turns nickel into copper and while doing so gives off both heat and gamma rays, which are held in by lead. Rossi has now got a one-megawatt reactor going, which can be ordered for about $1.5 billion. Here is the link in case you don’t believe it: http://ecat.com/ecat-products/ecat-1-mw. It consists of 106 e-cat units mounted in a “standard shipping container”. The standard delivery time is four months. There are also home variants in the works. The preface to the special section in Current Science points out that analysts are terming LENR as “disruptive technology” with the potential to turn the world economic order topsy turvy. My suggestion is: we pride ourselves as a country that had cracked scientific research even before science became science as we now have come to know and understand it. Would it be too much to get a group of scientists together to determine if this is a technology that we could explore for our mind-boggling energy requirements?